A drama within a horror / thriller / apocalypse movie is nothing really new of a genre. We have witnessed several of them involving divorce, family problems, sibling rivalry, drugs, abductions, domestic violence, and teenage fantasies among others. 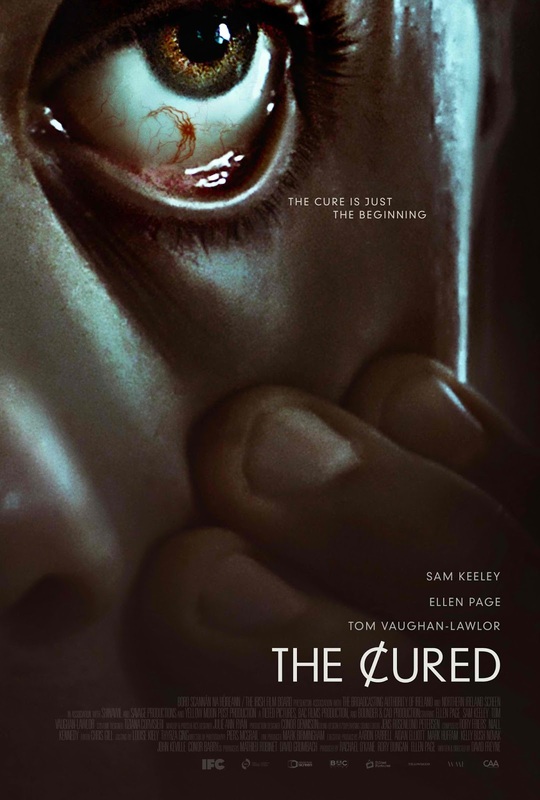 The 2017 Irish zombie-like horror thriller, "The Cured" is not an exception to this kind of genre, however, its storyline is one of the few movies that can stood out from the rest. The story began really slow and the pace was really dragging. But as the plot progresses, we got hooked up with the drama involving the three main characters in the film. The different attack of director David Freyne to the already-tired zombie-horror movie genre has become something interesting and brilliantly executed. "The Cured" deals with two-dimensional settings --- the one involving around a family and the one involving in a much larger group of anti-cured society. Getting these subplots interact and intertwine in the master plot itself is really complicated and perhaps needed a much more organization. This is where the director collate all the necessary things he needed to make the movie a little bit more interesting. The actors and the bit players combined simply nailed it. Overall, "The Cured" is a movie which targets a specific moviegoers' market. Some will find a bit boring, some may find it dragging, some may find it interesting enough and will not say it is just another zombie-apocalypse movie. We rate "The Cured" an 8 out of 10 movie experience for its new approach in zombie movie genre, its storyline, and overall texture and feel of the film.